 Located in Chicago's premier Streeterville neighborhood, North Water puts you in the center of a vibrant community of art, entertainment, fashion and culture. Feast at some of the highest rated restaurants in the country or forage at the newest culinary hot spot. Feed your passion for fashion in the many flagship designer stores along the Magnificent Mile and trendy boutiques on Oak Street. Get your fill of inspiration at the Museum of Contemporary Art and the Art Institute of Chicago. From Michigan Avenue, the Loop, River North and the Gold Coast to Navy Pier, Lake Michigan, the Chicago River and Millennium Park, the city's major attractions are just outside your front door. Whether you need to get to classes at Northwestern University, want to catch up on movies at AMC River East 21 or Navy Pier IMAX, or go for a walk at Milton Lee Olive Park, every local essential is all within reach. Reclaim the modern accessibility and convenience you deserve in our apartments for rent in Chicago. Apply online today to live call our convenient location your new neighborhood!